Based in Warrenton Virginia and serving all of Northern Virginia and Charles, St. George's and Montgomery counties in Maryland. Do you want to make a well-informed decision about purchasing a home? Would you like to make sure there are no surprises after you move in? Do you want someone to perform a thorough inspection with you in attendance? Follow Steve around as he takes a close look at the home's stucture, roof, the exterior siding and windows, the heating and air-conditioning units, the plumbing system, the electrical system, the ground slope around the house, and other major aspects of the house. Even if the house is almost new would you like to know if the previous owner performed regular maintenance? If improvements were made were they done professionally? Hire Steve to conduct a thorough inspection to assist you in getting the facts so you can make an informed decision. Through experience Steve has learned to allow extra time for first time home buyers who often have lots of questions and for older homes where the unexpected can pop up. He strongly encourages all home buyers/sellers to accompany him during the inspection so he can address questions/concerns immediately and thoroughly. Steve will cover routine maintenance tasks and provide practical information about how to care for your new home. Steve puts his findings into a well-written easy to understand report. The report is full of clear photos of any issues found along with a clear concise account of what is wrong and what he recommends be done about it. 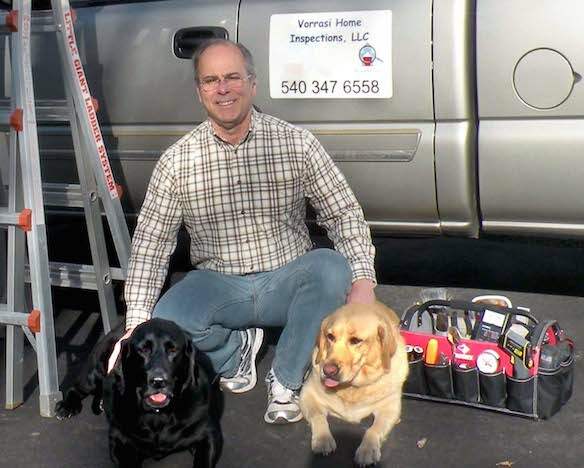 Steve believes that fully satisfied clients will tell their friends about their home inspection experience and serve as his best marketing tool. Should you ever have a question about the inspection or the written report Steve will gladly spend whatever time is necessary to clarify his findings. And If a question pops up a month or two later don't hesitate to give Steve a call.